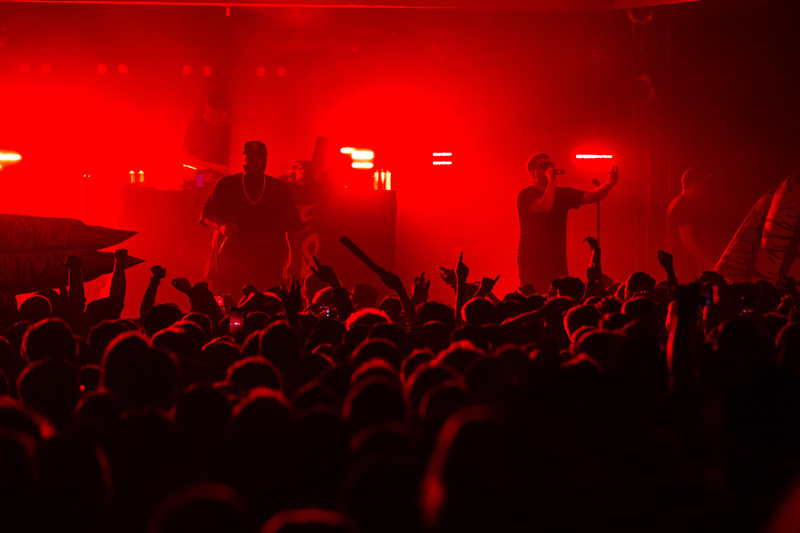 This night was impossibly lit. 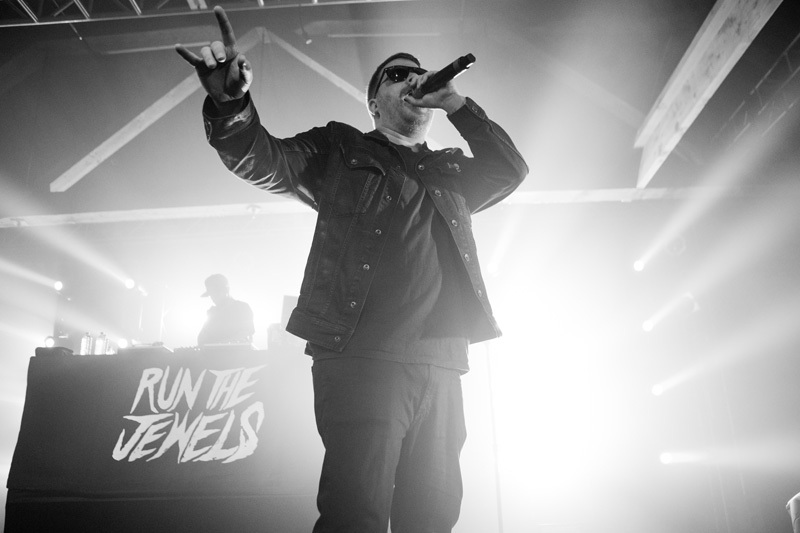 There's no denying that Run The Jewels are lyrical masterminds. 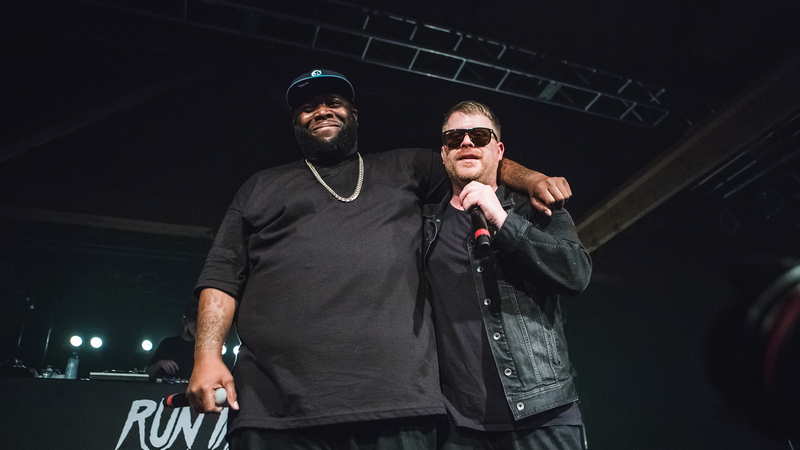 The dynamic duo, consisting of Killer Mike and El-P, released a self-titled album for free in 2013–a project that established them as a force to be reckoned with in the hip-hop community. 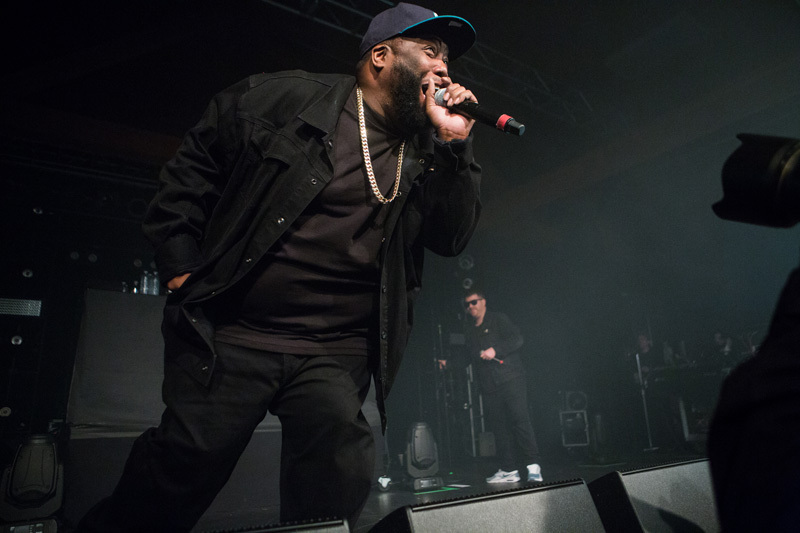 Following the success of said debut, the “Down” creators released two more LPs, Run The Jewels 2, and their latest, Run The Jewels 3—a record we've had on repeat since it dropped last December. 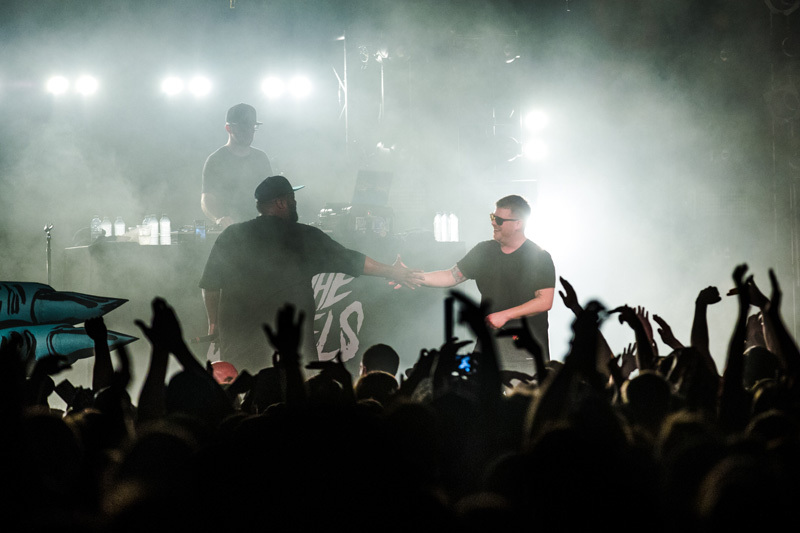 We had the chance to catch an amazing RTJ concert on February 7 at Showbox SoDo in Seattle. 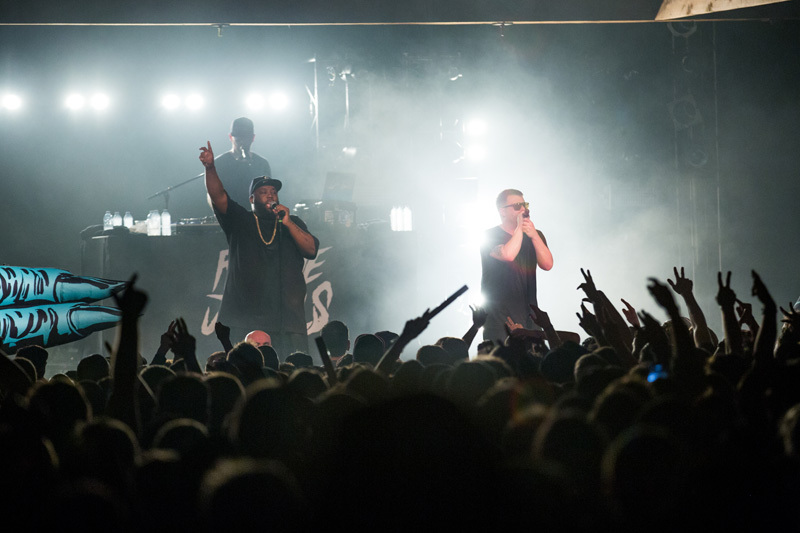 The sold-out crowd was buzzing, excited to hear what beats and verses the two-piece were going to serve up. 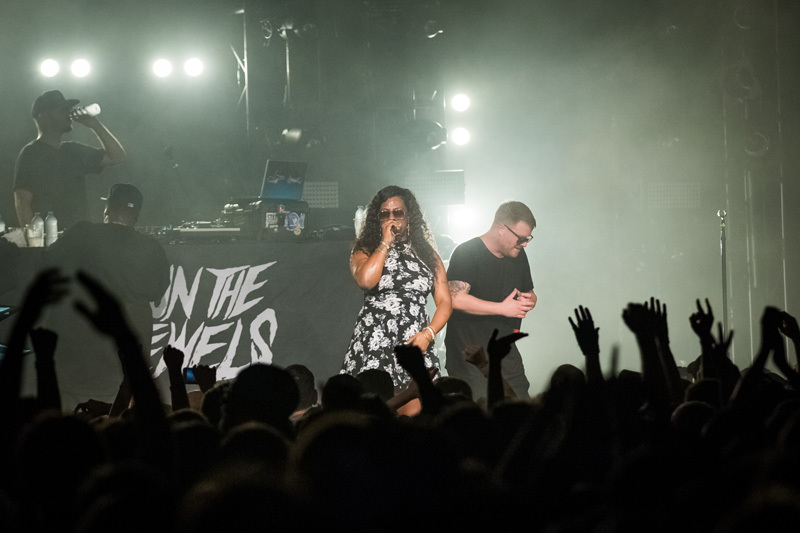 Before they took to the stage, however, supporting acts Nick Hook, Gangsta Boo, Cuz, and Gaslamp Killer alternated getting people fired-up for the headliners. When the pair finally hit the decks, they immediately broke into the high-energy track, “Talk to Me”. 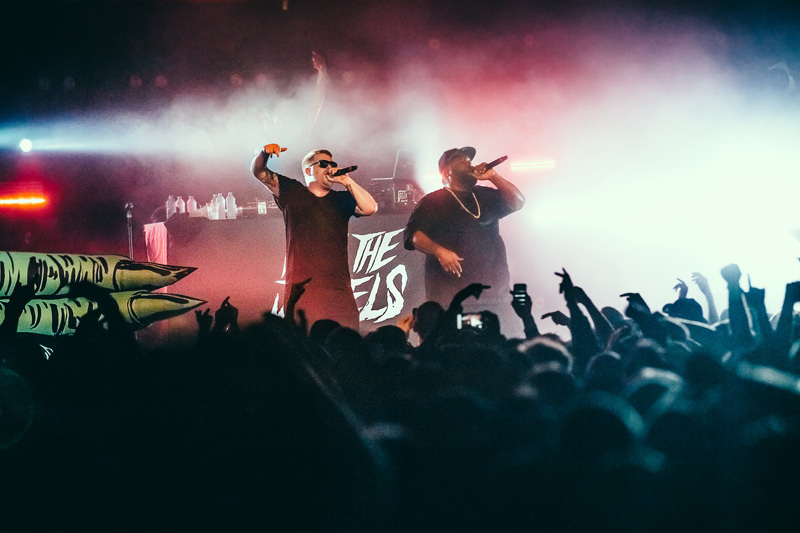 The setlist was heavily focused on their new album, and those in attendance made their their seal of approval clear by chanting "RTJ! 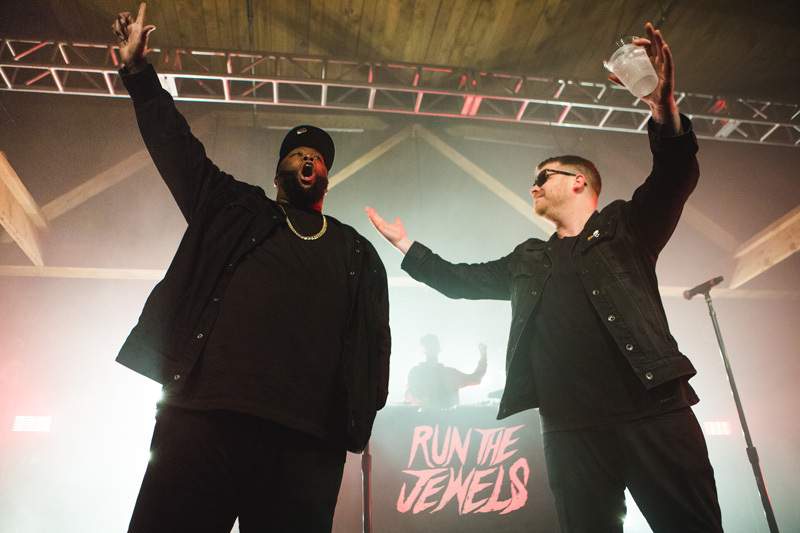 RTJ! 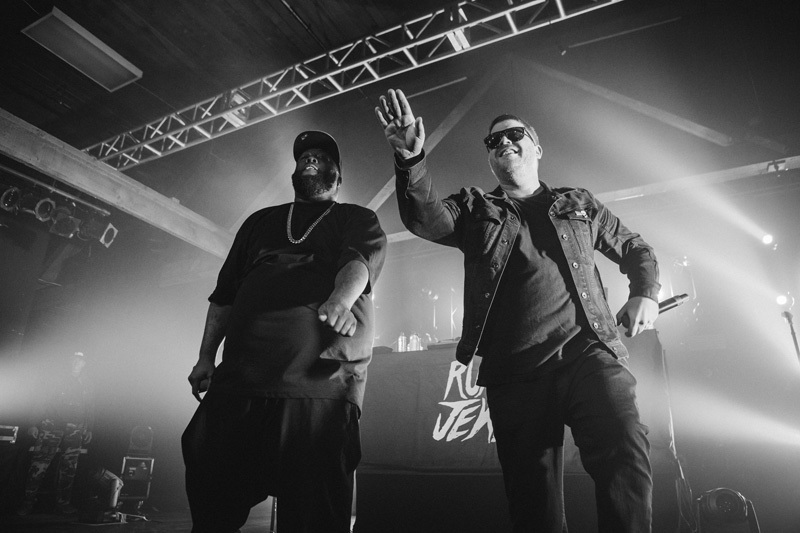 RTJ!" throughout the set. While the musicians are now considered esteemed veterans, their playful banter and charisma onstage make every show just as exciting as their first. 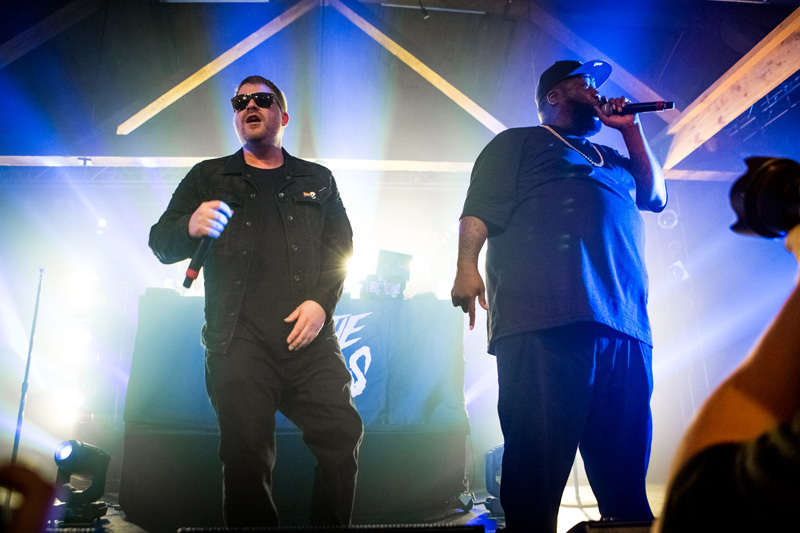 The duo gave fans a special treat, performing “Love Again” from RTJ2 with opener Gangsta Boo. 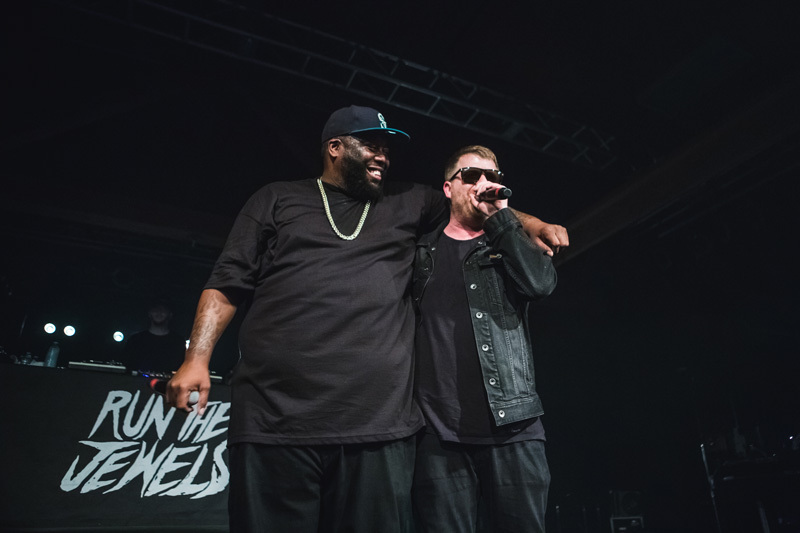 Check out our photos from the show below, and don’t forget to track Run The Jewels on Bandsintown, so you don’t miss them in your city! Concert notes by Eric Tra.